Just to thank you again and keep you up to date with our Wednesday Community Youngstars ministry, which continues to be a source of such wonderful blessing! New children and their families continue to come to our fun-filled evenings. 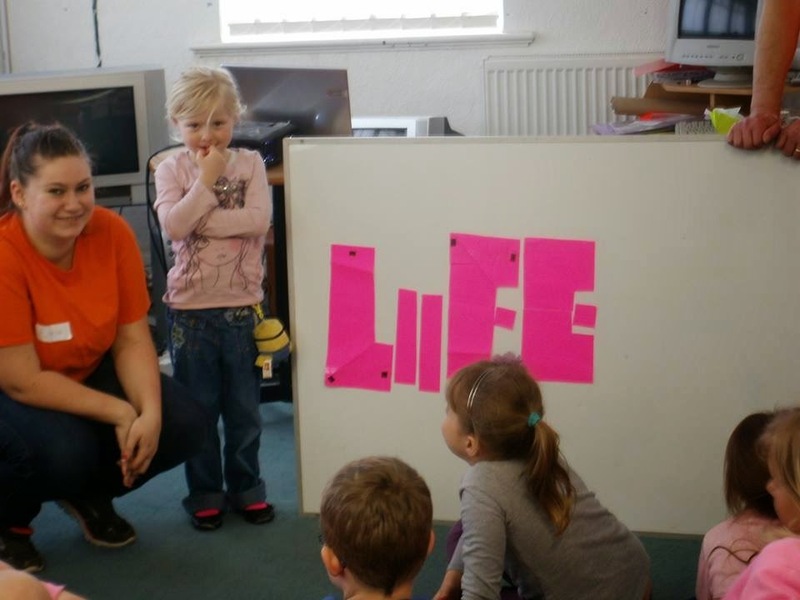 One of our young mums is now part of the team, complete with her own bright orange Community Youngstars tee-shirt! She actually wept when I presented her with it, as the ministry means so much to her and her children. She has now started to bring children from three other neighbouring families. She is now referring to it as the "heart of the community"! It really is amazing! My school opportunities continue to expand. I was asked to begin a weekly group for Year 1 and Year 2 girls at William Rhodes Primary School. We had our first session last Thursday; 21 girls doing loads of activities a lot like the Community Youngstars Wednesday evening sessions. A number of them are now coming to our Wednesday evening sessions. The Headteacher there is a Christian and a good friend of mine; I've done many Youngstars and Boy Racers projects for him over the last ten years or so. He is very supportive of what we're doing every Wednesday and of the whole Community Youngstars vision. I was able to do an assembly at Parkside Community School last Friday for the Year 7s and Year 8s. The last assembly I did there was 22 years ago! This time though, it was fantastic to meet up with dozens of youngsters whom we've got to know over the last two summers at Queen's Park Annexe, many of whom I have worked with over over the last 6 years while they were attending Primary School. The Summer Community Youngstars project will be open to the local children in Years 1 to 6. We'll be holding it at Church in the Peak during each of the weeks in August - Tuesday to Thursday 10.00am to 12noon. Please pray for us! We have a fantastic Wednesday team of Kaleigh, Mark, Emma, Joan, Jemma, Chris, and Pat and we really appreciate your prayers. Many thanks once again for all your support and prayers!